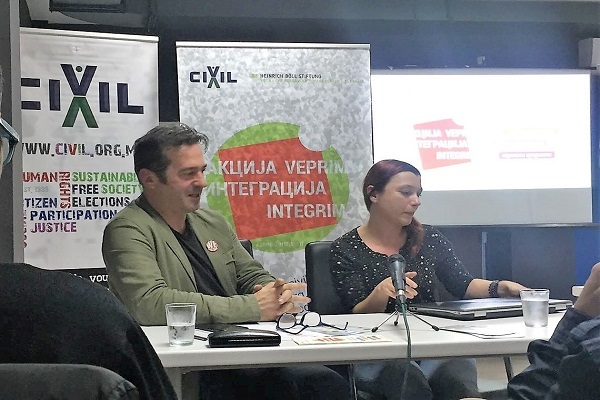 The President of DOM, Maja Moracanin, the Mayor of the Municipality of Center, Sasha Bogdanovik and the Mayor of the Municipality of Kisela Voda, Filip Temelkovki all spoke at yesterday’s conference “#ActionIntegration on European values, green alternatives and anti-nationalism”, which was organized by CIVIL – Center for Freedom. In the introductory part of the conference, the president of CIVIL, Xhabir Deralla, highlighted the importance of understanding that these areas, seemingly different and unrelated to one another, are actually a whole, which is part of the organization’s multi-annual strategy in the context of promoting human rights, as well as a base for the implementation of the reforms necessary for the country’s progress. 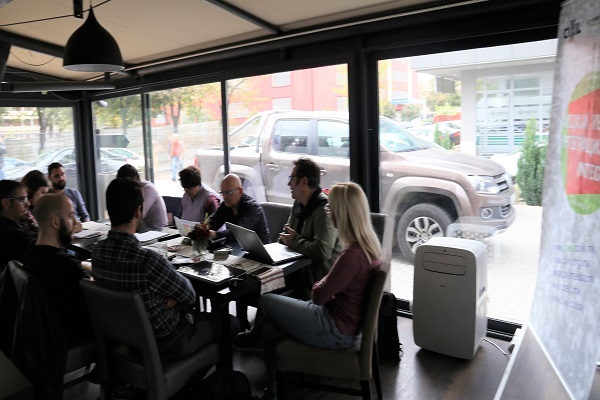 Prior to the speeches of the guests, CIVIL representative Biljana Jordanovska briefly presented the findings and amylases that CIVIL has made based on the focus groups implemented in four municipalities in Macedonia: in Veles, Stip, Skopje and Gostivar. 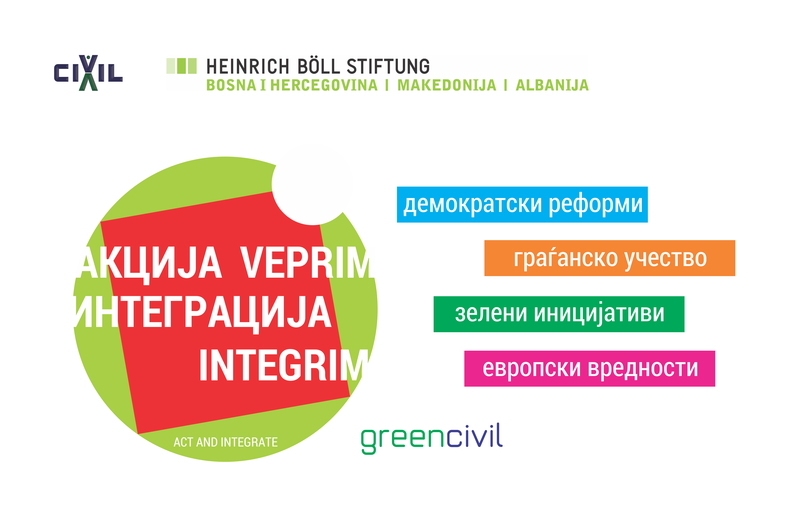 “Participants answered questions in four categories: citizen participation, democratic reforms, European values and green values. The questions were composed in order to see the level of how much knowledge and understanding there is on European and green values, as part of the democratic reforms in the Euro-integration process. The second component was the participants’ shared views, thoughts and experiences in regards to these questions, but also their ideas and possible solutions to the problems pointed out in regards to the priority Euro-Atlantic issues. In terms of citizen participation, most of the participants consider that as individuals they cannot get involved in the decision-making processes, primarily, because of the opinion that citizens themselves do not have the power to fight the institutions, the local self-government, and are usually considered as disobedient citizens. They also think that they can implement their only possibility for getting involved and taking part in the decision-making process through civil society organizations or initiatives. In the context of the democratic reforms, most of the participants were noticeably disappointed and critical towards the way the reforms are implemented. Although there were positive examples, such as the steps that are finally being taken for the rights of the LGBTI community, and the forming of an Inter-party parliamentary group for the rights of LGBTI people, the reforms in the education, that is, the preparations for the law on higher education and the student standards, freedom of expression, freeing of the media…Still, at the local level, participants think that the changes are going slow and unnoticeably. According to the participants, the closedness of the institutions and the inflexibility of the local self-government hamper the process of advancement and of visible results in the municipalities in terms of the democratic reforms. 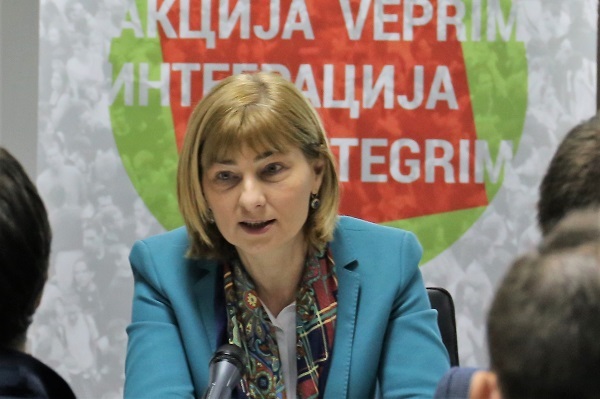 As to the question on how much European values and green values are represented, Macedonia passed with a grade of good 3”, outlined Jordanovska. 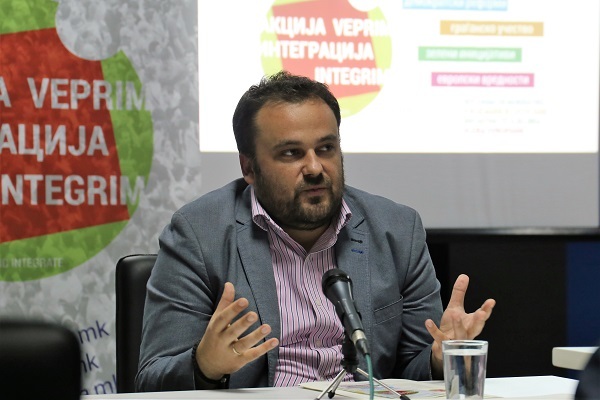 The President of the green party DOM stressed that when in Macedonia we talk about green values, we usually refer only to the part on environmental protection, but that this in practice is not the case. “The green ideology includes many other values, and this entire system of pillars of the green ideology gives the basis for the functioning of the green parties. In our society there is no knowledge on green values. They are closely related to one another. 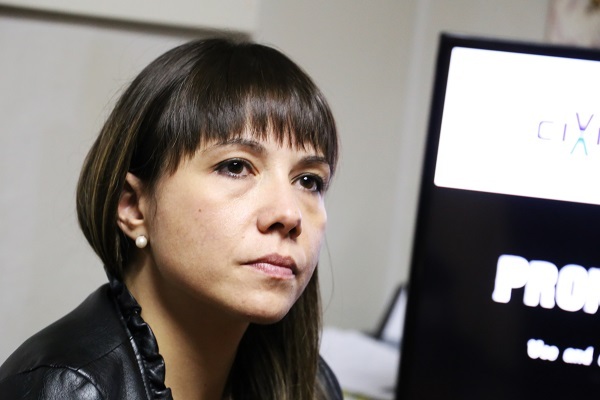 This system of values is mutually dependent and can be seen only as a whole and have results achieved”, said Moracinin. She emphasized that citizen awareness and civic activism has been growing in these past years, reminding on all the different kind of protests that have taken place in this past period. 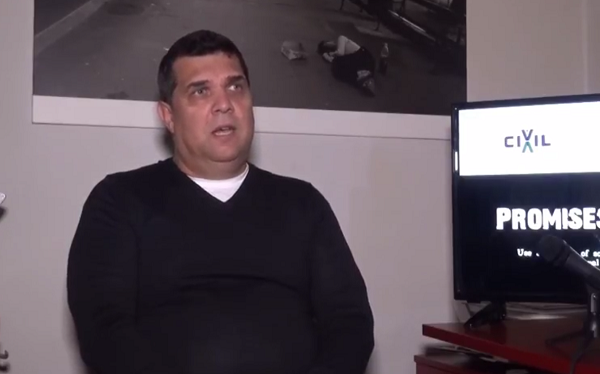 Regarding the question of human rights activist and former member of Levica (Left), Goce Markovski, as to whether DOM as a green party that has been in power for many years does not feel responsibility for the level of environmental awareness among citizens, Moracinin replied that environmental awareness among citizens has grown, hence all the initiatives and civil society associations. “More work is needed in that area of increasing environmental awareness, but there is much growth in that field. There is less environmental awareness among politicians than among citizens!”, highlighted Moracinin. The Mayor of the Municipality of Center, Sasha Bogdanovik, was decisive that all issues must be solved systematically, from the local level, to their smallest cells – the local communities, up to the civil society associations and initiatives, but that it should also be practiced at a very higher level as well. 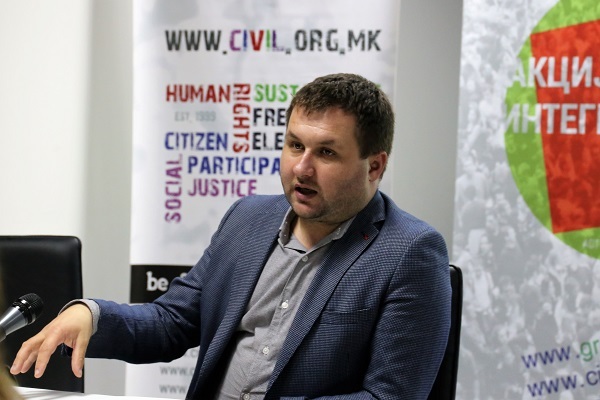 “It is very difficult when you are trying to introduce some values, which we are discussing now, but were destroyed previously”, said Bogdanovik. “One of the main roles of the municipality is to arrange every settlement by adopting detailed urban plans. In a period of 13 years, we have had situations where one DUP, in just one year, had been changed 4 times, while not taking into consideration the requests and needs of the citizens, nor the normal values in the planning. The Law on Construction alone has been adapted 11 times. That is why after we came in power, we introduced a moratorium. It is much easier to change the Law on urban planning. All regulations and laws have been abused until now. Our responsibility, as mayors, is to influence the increase and maintenance of green areas”, outlined Bogdanovik, in context of the urban chaos in the municipality. Filip Temelkovski, Mayor of the Municipality of Kisela Voda, continued after his colleague. “We, unfortunately, don’t have a moratorium, but it’s just like we have one. More than 70 percent of Kisela Voda cannot have construction, there is construction only on the periphery…”, said Temelkovski. Temelkovski believes that if larger space is left for public inspection, then much more citizens will be interested, and thus, the municipality will work the way it should. “Macedonia has many good laws, but nobody reads them or applies them. I am talking about the laws of the local self-government and which define the work and responsibility of the mayor and the municipality”, he continued. Temelkovski, like the rest of the participants, thinks that the support and participation of citizens is necessary, but stressed that the media also have a huge role in the entire process. “We need the media the most. Their interest is zero. 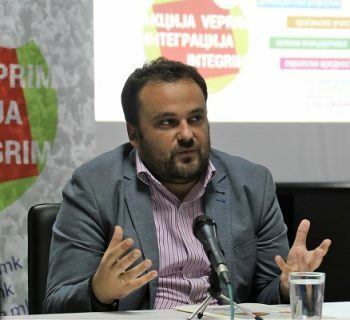 We are struggling for the system to start functioning between the municipalities, the City of Skopje and the local authorities”, stated Temelkovski, who described himself as the only mayor who in the pre-election campaign had not said that there would be no construction. CIVIL is implementing the project Аction – Integration in partnership with the with the Heinrich Bὅll Foundation from Germany. Abdulov: Election promises made to the socially disadvantaged categories are not being realized!